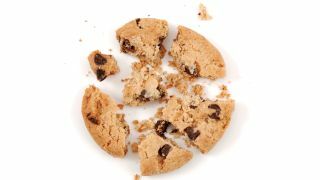 Businesses are furious over the Information Commissioners Office (ICO) back-track on the new cookie law, and they've been venting their spleen to us at Techradar Business Centre. The businesses we've contacted are furious over two issues; the law itself which they see as a "farce" and "pointless", and the last minute rethink, which made much of what they did over the last year redundant. Michael Ross, Director of eCommera and previously CEO of Figleaves.com was critical over the last minute changes over the definition of implied consent, and described the whole approach to the new laws as "embarrassing," and described the last year as a "year of stress and anxiety for commercial players." Businesses are also adamant that the law is overkill with Ross saying that educating the public about cookies is a bit like, "expecting people to understand the basics of quantum mechanics before they can buy a microwave." Others were upset over the loss of analytical data that the loss of tracking cookies for services such as Google Analytics will bring. John Sollars of printer ink retailer Stinkyink said "I would argue that one of the essentials for any good webmaster who wants to improve his customer experience and website is to know where his customer has come from, which search terms have been used and how they interact with the website, and to do that I need cookies." It's still too early to tell what the effect of this change will be on analytics, but indications from the few web sites that went ahead with the legislation last year – including the ICO's own site - showed a substantial reduction in analytical data received. The cookie law legislation was designed to help the public, but it has also created a challenge for businesses "to put the solutions in place technically without incurring significant costs or complexity," as Graham Cooke from Qubit points out, and as many point out they need to do this when the world is in recession and money is tight. What we have so far is a system that confuses the public, infuriates businesses and in the end the only winners are as Ross says "the lawyers." The whole premise of the cookie regulation has moved from requiring "informed prior consent" to now accepting that "implied consent" will suffice for most situations. It is a banal end to a year of stress and anxiety for commercial players online where the only people to benefit have been the lawyers. The banality of the ICO's approach is embarrassing. They appear to have decided that it is important for consumers to understand the intricacies of cookies before they are safe to use the internet. Really? It is like expecting people to understand the basics of quantum mechanics before they can buy a microwave. I have worked in the online world for 18 years and, whilst I understand what cookies enable, I have little understanding of how they work in practice. And why cookies? What about HTML5? What about browsers? The reality is that consumers want things to work and they want to make sure that their information is not abused. How that happens in practice is the job for intelligent legislators and regulators. It is shameful that the UK is kowtowing to pointless EU legislation at a time when they should be positioning the UK as a global internet hub."